Welcome to Appling Lakes Apartments in Cordova, Tennessee. Our premier community is nestled in a charming yet vibrant neighborhood that provides a friendly and tranquil suburban atmosphere with all the big-city excitement of Memphis nearby. All throughout our lush, green property, you will discover enriching amenities including a resort-style swimming pool, a stunningly modern resident clubhouse, and a 24-hour fitness center. Our community features six spacious floor plan layouts with one, two and three-bedroom floor plans available, providing you with the next-level comforts you’ve been searching for in your dream home. With unbeatable modern benefits including a fully equipped kitchen, walk-in closets, and a wood-burning fireplace, there’s no better choice for apartment living in Cordova than Appling Lakes Apartments. 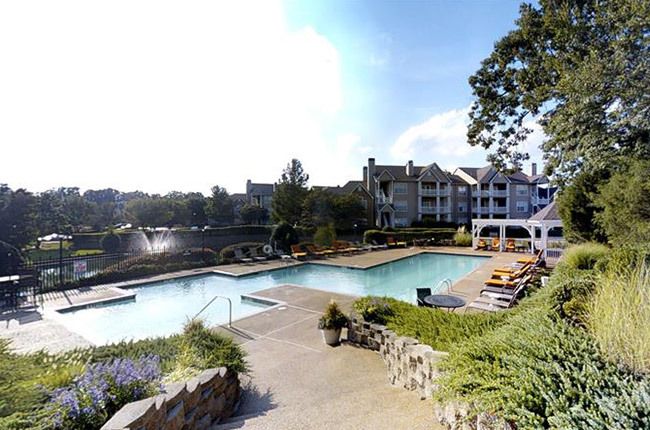 Nothing beats the serene location of Appling Lakes Apartments. Our cozy property rests just a few minutes from the expansive, natural beauty of Shelby Farms Park where you can enjoy 4,500 acres of walking and biking trails, fishing spots, and a variety of children’s playground areas. If you are looking for the finest shopping and dining that the Memphis metropolitan area has to offer, your new home puts them all within seamless reach! You can find the latest fashions and trends at the Cordova Towne Center, Germantown Square, and Trinity Commons, as well as the mouthwatering southern cuisine available at B.B. King’s Blues Club, Marlowe’s Ribs & Restaurant, and Sweet Grass that are right in the neighborhood. Enjoy the tranquility of suburban living with the convenience of a short commute to nearby Memphis at Appling Lakes Apartments.